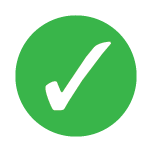 Hadoop version of 1.0 was specifically designed for application processing to support use cases of batch processing. Hadoop second generation is designed to support real time applications where Hadoop is used not just as a storage system but as an application platform. 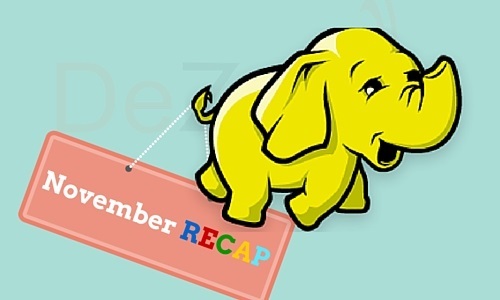 Cask makes it easier for Hadoop developers to build big data applications that run on Hadoop. Cask raised $20 million in a series B funding from Safeguard Scientifics Inc. to facilitate the growth of Hadoop that is still evolving. Josh Rogers, President of Syncsort, has predicted an accelerated growth of Hadoop in the market and has also advised companies to start using Hadoop beyond its storage capabilities and use more of the computing nodes to increase the processing power of Hadoop to build more growth focused big data applications. 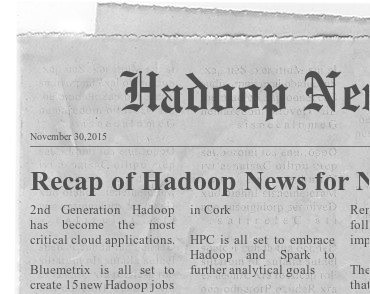 Bluemetrix a big data solutions provider, in partnership with Hortonworks, the Hadoop program creator will see 15 new Hadoop jobs for its Cork office. With offices in Japan and Cork, Bluemetrix is all set to expand its Hadoop team in Cork. With the rapid maturation of Apache Hadoop and the rising popularity of Apache Spark, the professors in Research in Advanced Distributed Cyberinfrastructure and Applications Laboratory (RADICAL) are going to focus on tools and analytics approaches, which is used in the big data and Hadoop world. HPC is mainly used for building scientific applications, but with data taking over the world, it is becoming more and more important to use Hadoop and Spark technologies to make data driven decisions in science. Inventec – the recognized leader in the delivery of high performance scalable servers and storage designs has developed the K850G3 Server Platforms ThunderX, which is optimized for Hadoop, Spark, Cloud Compute, and other workloads which require a balance between high computing performance and large storage capacity. Apache Spark is used to enrich a third-party data processing product splice machine because of its in-memory processing capabilities. The latest version 2.0 of Splice Machine (SQL-RDBMS-on-Hadoop) solution uses Apache Spark as one of the processing engines. The incoming work load is distributed between them based on whether it is OLAP or OLTP.OLAP queries are processed using Apache Spark. Cloudera’s flagship Cloudera Enterprise 5.5 platform includes a new tool which slows customers to know which workload will perform better on Hadoop. Hadoop being a complicated framework, people have always faced hurdles while loading workloads into Hadoop. The beta release of Cloudera Navigator Optimizer provides a visibility to the workload which allows people to gauge whether the workload is suitable for Hadoop. “Precision Medicine Initiative” project centers around the process of collecting and analyzing data from million volunteers. Obama administration plans to devote $215 million from the 2016 budget for this product. This project has received funding of $130 million for NIH to gather data for analysis, $5 million to protect the privacy of the collected data and $10 million for FDA to architect the databases. The cost of securing, storing and making the data accessible to analysts was a major roadblock in the development of personalized medicine. However, Hadoop and Spark now bring improved performance in analysis and enhanced abilities to extract intelligence from large dissimilar data sets at economical cost. The Wikibon Big Data Survey 2015, shows that there is a steady progress in adoption of Hadoop by the companies and also they are steadily adopting all the associated technologies with Hadoop. Wikibon Big Data Analyst, George Gilbert, says that there has been at least a 10% increase in the number of respondents to the adoption of Hadoop survey. According to a survey by TDWI on the new best practices, there is a huge increase in the number of enterprises that plan to implement hadoop in production. 60% of the respondents to the survey said they would be in production by the first quarter of 2016 unlike 16% in earlier 2015. Only 6% of the organizations have ruled our Hadoop unlike 27% in 2012 which is an indication that Hadoop will rocket ahead amongst the enterprises as a common enterprise tool. 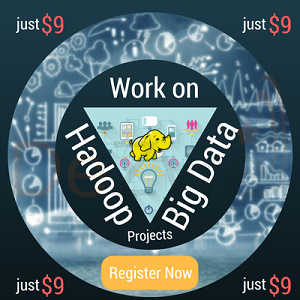 Learn Hadoop to join the big data revolution at top tech companies!